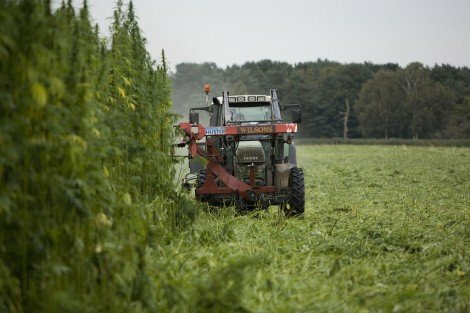 A bill to legalize the cultivation and production of hemp has been passed unanimously by the Rhode Island House Health, Education and Welfare Committee. The measure, which initially started out as a hemp research bill but was amended to a full hemp legalization bill, now heads towards a vote in the full House of Representatives. Under the proposed law, those wanting to cultivate hemp would be allowed to do so given they receive a license from the Department of Business Regulation. The licenses would unfortunately have a fairly steep price tag of $2,500, but would be valid for three years. If passed by the House it will go to the Senate, where its passage would send it to Governor Gina Raimondo for consideration. If signed into law, or allowed to become law without a signature, the bill would take full effect after 60 days. $2,500 to grow hemp. Jesus Christ. And you have to pay that every three years! Unbelievable. And then they act like they’re doing the people a favor by “allowing it”. This is a plant… like tomatoes are plants. We should have the right to grow plants that help us live better.